The greatest miracle of the 20th Century was the re-establishment of the state of Israel. 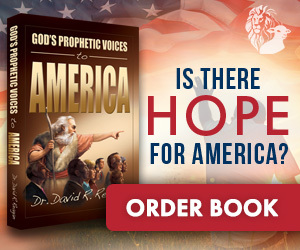 It was a fulfillment of Bible prophecy, and the United States played a key role in that fulfillment. How have we interacted with the state of Israel since that time, and what does the Bible say about our future relationship? Let’s begin by taking a look at the history of our relationship, considering each U.S. Administration since 1948 when the state of Israel came back into being. Truman had already shown a heart for the Jewish people in his speeches during World War II when he referred to Hitler as a “mad man” and warned that the “Nazi beasts” were carrying out a “systematic slaughter” of the Jews.2 He favored allowing Jewish refugees into the country during and after World War II. But the Congress balked at his proposal, so after he became President, he issued an executive order called the “Truman Directive,” on December 22, 1945.3 This order opened the door and 23,000 Jewish refugees came in during the next two years. Truman took this action because he was a student of the Bible, and he believed the Jewish people had a right to the land.6 Amazingly, he took the action despite the fact that almost every person in his administration opposed it. The opponents included the Secretary of Defense, James Forrestal, and the Secretary of State, George Marshall, both of whom strongly opposed recognition. These actions in defiance of our allies — Britain, France and Israel — brought accolades from the international community at the United Nations, especially from the Arab and Muslim states. One other thing Eisenhower did was to continue the arms embargo that had been initiated by President Truman. But he firmly opposed Israel’s development of nuclear weapons. In a letter to Prime Minister David Ben Gurion, dated May 18, 1963, he insisted that American inspectors be allowed to visit the Dimona nuclear reactor located in the Negev desert. He warned against using the reactor to develop nuclear weapons. 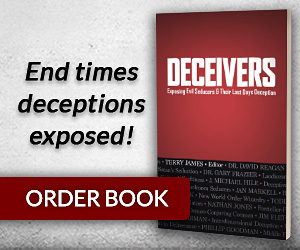 Prophetically, he wrote, “Development of a nuclear weapons capability by Israel would almost certainly lead other larger countries that have so far refrained from such development to feel that they must follow suit.”17 Kennedy’s plea was ignored by the Israelis. Lyndon Johnson quickly emerged as one of the greatest friends of Israel among modern day presidents — so much so that he has often been referred to as “America’s first Jewish President.”19 Soon after taking office in the aftermath of John F. Kennedy’s assassination in 1963, Johnson told an Israeli diplomat, “You have lost a very great friend, but you have found a better one.”20 During his administration, the U.S. became Israel’s chief diplomatic ally and primary arms supplier. President Nixon is considered today to have been anti-Semitic, based upon ugly statements he made about the Jews that are contained on the infamous White House tapes. But when it came to Israel, he was a realist in foreign policy who recognized the importance of the only democratic state in the Middle East. And when Israel suffered a surprise invasion in the 1973 Yom Kippur War, Nixon responded immediately with overwhelming aid to counter the offensive.27 He did so despite the fact that he knew it would alienate the Arab World and greatly endanger our relationship with the Soviet Union. During his short three year tenure in the presidency (1974-77), President Ford took a hard line stance toward Israel, demanding that they withdraw from the Sinai which they had reconquered during the Yom Kippur War. Israel exists and it has a right to exist in peace behind secure and defensible borders. And it has the right to demand of its neighbors that they recognize those facts. I have personally followed and supported Israel’s heroic struggle for survival ever since the founding of the state of Israel. In the pre-1967 borders, Israel was barely 10 miles wide at its narrowest point. The bulk of Israel’s population lived within artillery range of hostile Arab armies. I am not about to ask Israel to live that way again. 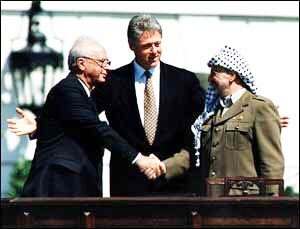 This conference laid the groundwork for the Oslo Accords in 1993 which initiated the Land-for-Peace process whereby Israel would surrender land in exchange for promises of peace. Clinton provided Israel with substantial financial aid, but he worked constantly behind the scenes to convince Israel to trade land-for-peace. The Bush Administration tried to put out the firestorm this announcement produced by claiming that President Clinton had endorsed the same policy. It was true that in 2001, two weeks before leaving office, President Clinton had stated that he personally believed that the Middle East conflict could not be resolved without creating “a sovereign, viable Palestinian state.”55 But he had not made that objective a formal goal of U.S. policy. George Bush did. Obama demanded Israel’s withdrawal from Jewish settlements, and when Netanyahu balked, the president said it was time for him to eat with his family — at which point he walked out and left the prime minister and his aides alone, offering them no food or drink. As you can see, the record of U.S. relations with Israel has been erratic from the start. Even President Truman, who offered immediate recognition, decided to slap an arms embargo on the fledgling nation. Since that time, we have often treated the Jewish nation with disdain, forcing its leaders to do whatever we desired through the manipulation of foreign aid and through threats of one kind or another. And, the Israeli government has had little choice but to conform to our demands. That’s because the stark reality is that our veto in the UN Security Council is the only thing that prevents the world from placing draconian sanctions on Israel that would destroy the nation’s economy in short order. Overall, I would say that until Obama, the Democrat Presidents have been much more favorable to Israel than have the Republicans. In recent years, since the early 1990s, we have become increasingly hostile to Israel as we have literally forced them to take the self-defeating path of appeasement. Additionally, year after year, we have insulted the people of Israel by refusing to recognize Jerusalem as their capital. Think for a moment about what an incredible insult this is to the Jewish people. It is equivalent to the Israelis declaring that they do not recognize Washington, DC as our capital, and then proceeding to place their Embassy in Chicago. But the handwriting is on the wall. The days of American support are numbered. The time has come for the Israeli leadership to face up to the fact that its hope and trust needs to be placed in Almighty God and not in the United States. In like manner, the time has come for our nation to realize that in our manhandling of Israel, we are courting the wrath of God. 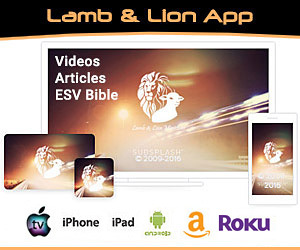 Let’s conclude by taking a look at what the Bible has to say about all the pressure that is being applied to Israel by the United States and the rest of the world. 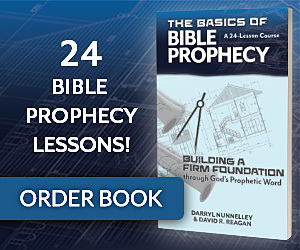 Of course, the most important verses are to be found in Genesis 12:1-3 where God told Abraham that He would bless his decendents through Isaac and that He would bless those who bless the Jews and curse those who curse the Jews. 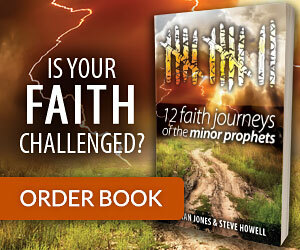 And history attests to the fact that God has been faithful to that promise. Throughout history, the nations and empires who have persecuted the Jews have ended up in the dust bin of history. 2) Behold, I am going to make Jerusalem a cup that causes reeling to all the peoples around; and when the siege is against Jerusalem, it will also be against Judah. 3) It will come about in that day that I will make Jerusalem a heavy stone for all the peoples; all who lift it will be severely injured. And all the nations of the earth will be gathered against it. 2) I will gather all the nations and bring them down to the valley of Jehoshaphat. Then I will enter into judgment with them there on behalf of My people and My inheritance, Israel, whom they have scattered among the nations; and they have divided up My land. Both the world’s political leaders and the Humanistic leaders of Israel are deceived into believing that the Arab-Israeli crisis is a political one that can be solved with political compromise. But the fact of the matter is that it is not a political crisis — it is a spiritual one that is immune to political settlement. 1) Through them God gave the world His Word. 2) Through them God provided the world’s Savior. Satan also hates them because God chose them as His witnesses to the world and has promised to bring a great remnant of them to salvation through faith in their Messiah. Satan wants to prevent God from fulfilling that promise, and so he is determined to kill every Jew on planet earth. He has tried it once before through Hitler. He is preparing to try again through the Antichrist. But Satan will fail, for God has decreed that a great remnant of His Chosen People will be saved and will serve as the nucleus of a Jewish population that will become the prime nation of the world during the Millennium. True peace is coming to Israel — but not through peace treaties negotiated by men. It will be achieved when the Prince of Peace breaks from the heavens and arrives on the Mount of Olives, and the Jewish people will cry out: “Baruch Haba B’Shem Adonai!” (Matthew 23:39). Meanwhile we need to pray for our nation, because our leaders are literally crying out for the wrath of God to fall upon us as we try to force the Israelis to divide their capital city and surrender their heartland. 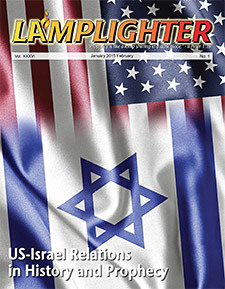 1) For detailed information about President Truman’s recognition of Israel, see “Israel’s 60th Anniversary,” by Dr. David R. Reagan, Lamplighter magazine, March-April 2008, pages 3-9. 2) David McCullough, Truman (New York: Simon & Schuster, 1992), page 286. 3) Jewish Virtual Library, “Harry Truman Administration: Statement and Directive on Displaced Persons,” www.jewishvirtuallibrary.org/jsource/Holocaust/truman_on_dps.html. 4) United States Holocaust Memorial Museum, “United States Policy Toward Jewish Refugees, 1941-1952,” www.ushmm.org/wlc/en/article.php?ModuleId=10007094, page 2. 5) Harry S. Truman Library and Museum, “The Recognition of the State of Israel,” www.trumanlibrary. 6) Dr. David R. Reagan, “Israel’s 60th Anniversary,” page 8. 7) Richard Holbrooke, “Washington’s Battle Over Israel’s Birth,” The Washington Post, May 7, 2008. 8) Michael T. Benson, “Truman’s Actions Speak Much Louder Than His Words,” www.snow.edu/publicr/speeches/truman1.html. 9) Shlomo Slonim, “The 1948 American Embargo on Arms to Israel,” Political Science Quarterly, Vol. 94, No. 3, Autumn, 1979, pages 495ff. 10) Jewish Virtual Library, “The Sinai-Suez Campaign: President Eisenhower & PM Ben-Gurion on Israeli Withdrawal from Sinai,” www.jewishvirtuallibrary.org/jsource/US-Israel/phantom.html. 11) Donald Neff, “How Eisenhower Forced Israel to End Occupation After Sinai Crisis: When an American President Said No to Israel,” Institute for Historical Review, www.ihr.org/jhr/v16/v16n2p14_Neff.html, page 2. 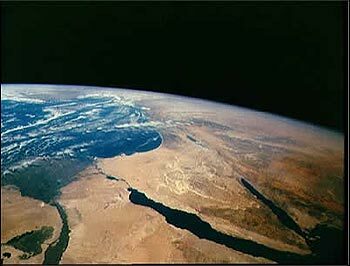 12) Israel Resource Review: Behind the News in Israel, “Eisenhower Regretted That He Pushed For Sinai Withdrawal,” http://israelbehindthenews.com/eisenhower-regretted-that-he-pushed-forsinai-withdrawal/2804/. 14) John F. Kennedy, “Speech by Senator John F. Kennedy, Zionists of America Convention, Statler Hilton Hotel, New York, NY, August 26, 1960,” www.presidency.ucsb.edu/ws/?pid=74217. 16) Stephen M. Walt, The Origins of Alliances, (Ithaca, NY: Cornell University Press, 1987) pp. 95-96. 17) Jewish Virtual Library, “John F. Kennedy Administration: Letter to Israeli PM Ben-Gurion Regarding Visit to Dimona,” www.jewishvirtuallibrary.org/jsource/US-Israel/FRUS5_18_63.html. 18) Stephen Kinzer, “Shot heard round the world: It is now clear that Robert Kennedy’s assassination 40 years ago was in fact an eminently political act,” www.theguardian.com/commentisfree/2008/jun/13/israelandthepalestinians.usa. 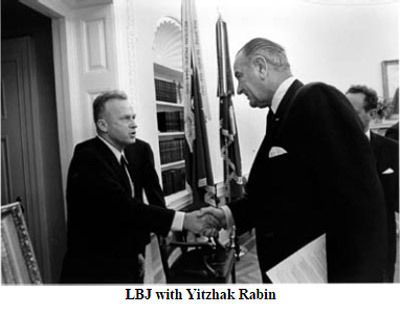 19) Lenny Ben-David, “Our First Jewish President Lyndon Johnson?” http://5tjt.com/our-first-jewish-president-lyndon- johnsonan-update. 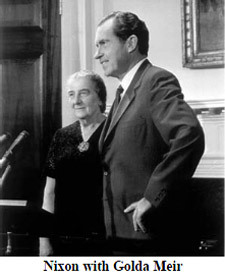 20) Donald Neff, “Lyndon Johnson Was First to Align U.S. Policy With Israel’s Policies,” http://www.wrmea.org/1996-novemberdecember/middle-east-history-it-happened-in-november.html, page 1. 21) Lenny Ben-David, “Our First Jewish President Lyndon Johnson?” pages 2-3. 23) Lenny Ben-David, “Our First Jewish President Lyndon Johnson?” page 2. 28) Mitchell Bard, “Arab-Israeli Conflict #5 – Yom Kippur War,” www.aish.com/jw/me/48893552.html, page 4. 29) Roger Stone, “How Nixon Saved the State of Israel,” www.lewrockwell.com/2014/08/roger-stone/nixon-on-jews-and-israel. 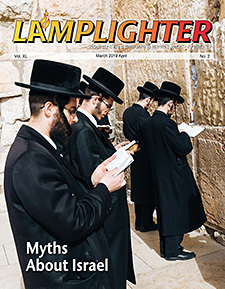 30) Jerry Klinger, “Richard Nixon – Henry Kissinger: The Anti- Semite Who Saved Israel,” http://www.jewishmag.com/167mag/kissinger-nixon-war-watergate/kissinger-nixon-war-watergate.htm, page 16. 31) Haartz, “Gerald Ford, the U.S. president who reassessed policy toward Israel, dies at 93,” December 28, 2006, page 2. 32) Christa Case Bryant, “Netanyahu-Obama tensions nothing new: 5 low points in US-Israel ties,” Christian Science Monitor, September 27, 2012, http://www.unitedjerusalem.org/ ndex2.aspid=1612216&Date=10/17/2012, page 2. 33) Bernard Gwertzman, “Egypt and Israel Sign Formal Treaty, Ending a State of War After 30 Years; Sadat and Begin Praise Carter’s Role,” The New York Times, March 26, 1979. 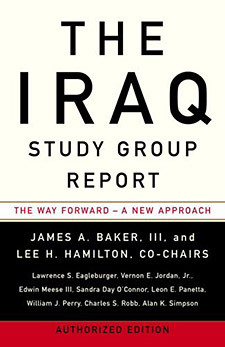 34) The Miller Center of the University of Virginia, “American President: Jimmy Carter,” http://millercenter.org/president/carter/essays/biography/5, page 3. 35) Jimmy Carter, Palestine: Peace Not Apartheid (New York, NY: Simon & Schuster, 2006). 36) Jennifer Pompi, “Jimmy Carter slams Israel in pro-Palestine op-ed,” The Washington Times, August 5, 2014, http://www.washingtontimes.com/news/2014/aug/5/jimmy-carter-slamsisrael-in-pro-palestine-op-ed. 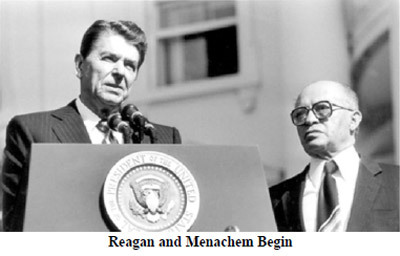 37) Jewish Virtual Library, “The Reagan Plan,” www.jewishvirtuallibrary.org/jsource/Peace/reaganplan.html, page 3. 38) Chemi Shalev, “If Obama treated Israel like Reagan did, he’d be impeached,” Haaretz, December 9, 2011, http://www.haaretz.com/blogs/west-of-eden/if-obama-treated-israel-like-reagandid-he-d-be-impeached-1.400542. 39) Mitchell Bard, “Reagan’s Legacy on Israel,” www.mitchellbard.com/articles/reagan.html, page 1. 42) U.S. Department of State, Office of the Historian, “The Reagan Administration and Lebanon, 1981–1984,” https://history.state.gov/milestones/1981-1988/lebanon, page 2. 43) Mitchell Bard, “Reagan’s Legacy on Israel,” page 2. 44) John E. Lang, editor, Israeli-United States Relationship (Nova Science Publishers Inc (Hauppauge, NYJune 30, 2006), page 25. 45) Foundation for Middle East Peace, “U.S. Policy on Jerusalem,” www.fmep.org/reports/special-reports/special-report-jerusalem/u.s.-policy-on-jerusalem. 46) U.S. Department of State, Office of the Historian, “The Madrid Conference, 1991,” http://history.state.gov/milestones/1989-1992madrid-conference, page 2. 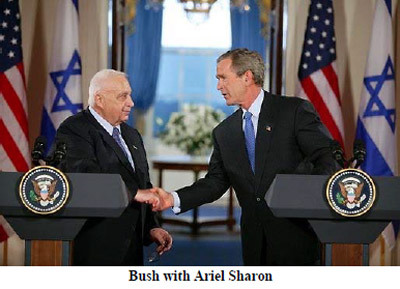 47) Sheryl Gay Stolberg, “Bush and Israel: Unlike his Father,” www.nytimes.com/2006/08/02/world/americas/02iht-bush.2363483.html?page wanted=all&_r=0, page 1. 48) Rice University’s Baker Institute for Public Policy, “Shell Distinguished Lecture Series — Yasser Arafat, President of the Palestine National Authority ,” March 5, 1997, video of speech, http://bakerinstitute.org/events/1245. 49) Jewish Virtual Library, “William ‘Bill’ Clinton.” www.jewishvirtuallibrary.org/jsource/biography/billclinton.html. 50) Gale Student Resources in Contest, 2011, “Bill Clinton’s role in Israeli-Palestinian Peace Accords,” http://ic.galegroup.com/ic/suic/ReferenceDetailsPage, page 2. 51) Time magazine, “Sixteen Years of Israeli-Palestinian Summits: Wye River Summit,” http://content.time.com/time/specials/2007/article/0,28804,1644149_1644147_1644132,00.html. 52) Jewish Virtual Library, “2000 Camp David Summit: Background & Overview” by David Shyovitz, www.jewishvirtuallibrary.org/jsource/Peace/cd2000art.html. 53) Sheryl Gay Stolberg, “Bush and Israel: Unlike his father,” www.nytimes.com/2006/08/02/world/americas/02iht-bush.2363483.html?page wanted=all&_r=0, page 1. 54) The White House, “President Bush’s Freedom Agenda Helped Protect The American People,” http://georgewbush-whitehouse.archives.gov/infocus /bushrecord/factsheets/freedomagenda.html, page 1. 55) Jewish Virtual Library, “Bill Clinton Administration: Speech Outlining the ‘Clinton Peace Parameters’ (January 7, 2001),” www.jewishvirtual library.org/jsource/Peace/clintplan.html. 56) Joel Brinkley and Steven R. Weisman, “Rice Urges Israel and Palestinians to Sustain Momentum,” www.nytimes.com/2005/08/18/interna tional/middleeast/18rice.html, page 1. 57) Al Arabiya News, “Obama tells Al Arabiya peace talks should resume,” www.alarabiya.net/articles/2009/01/27/65087.html. 58) The White House, “Remarks by the President on a New Beginning, Cairo University, June 4, 2009,” www.whitehouse.gov/the_press_office/remarks-by-the-President-at-Cairo-University-6-04-09. 59) Seth Mandel, “Contentions On Israel, Obama Discovers the Obvious,” Commentary magazine, November 21, 2012, www.commentarymagazine.com/2012/11/21/on-israel-obama-discovers-the-obvious. 60) Michael Reagan, “Israeli Prime Minister Mistreated by Obama,” Patriot Update, May 19,2011, http://patriotupdate.com/articles/israeli-prime-minister-mistreated-by-obama. 61) Tom Cohen, “Obama calls for Israel’s return to pre-1967 borders,” CNN, May 19, 2011, www.cnn.com/2011/POLITICS/05/19/obama.israel.palestinians. 62) Breitbart, “State Dept. : Palestinians Do Not Need to Recognize Israel as Jewish State,” by Joel B. Pollak, www.breitbart.com/Big-Peace/2014/03/09/State-Dept-Palestinians-Do-Not-Need-to-Recognize-Israel-as-Jewish-State. 63) Ynet News, “Obama says settlement building illegitimate,” September 23, 2009, www.ynetnews.com/articles/0,7340,L-3781005,00.html. 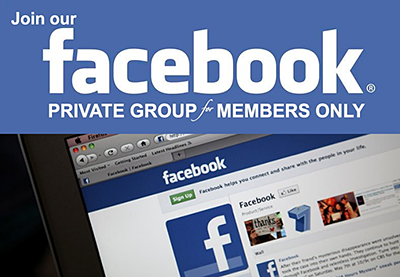 64) Congressional Research Service, “U.S. Foreign Aid to the Palestinians,” by Jim Zanotti, September 30, 2013, Summary page (no page number), www.fas.org/sgp/crs/mideast/RS22967.pdf. 65) The White House, Office of the Press Secretary, “Remarks by the President to the UN General Assembly.” September 25, 2012, www.whitehouse.gov/the-press-office/2012/09/25/remarks-president-un-general-assembly, page 5. 66) Congressional Research Service, “U.S. 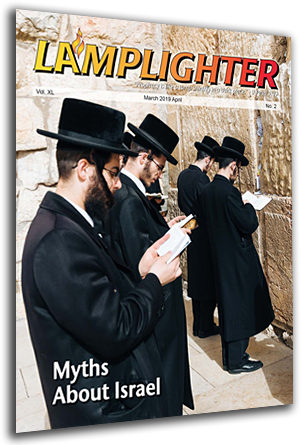 Aid to Israel,” by Jeremy M. Sharp, April 11, 2014, summary page (no page number), http://fas.org/sgp/crs/mideast/RL33222.pdf. 67) BrainyQuote, Winston Churchill, http://www.brainyquote.com/quotes/quotes/w/winstonchu100130.html.